With Shutter Island about to open, cineasts are holding their collective breath wondering if the latest film from legendary director Martin Scorsese will add to his legacy or continue what some perceive as a decline from the Robert De Niro era to the Leonardo DiCaprio years. Paul Newman and Tom Cruise star in this superfluous sequel to the 1961 pool hall classic, The Hustler. Cruise is in full-on cocky mode (whether that's good or bad is up to you), while Newman seems to be sleepwalking through a film that isn't terrible, but, to its detriment, never truly feels like a Scorsese flick. Despite the rightly-lauded star turn by Daniel Day-Lewis as Bill the Butcher, this film is a mesmerizing mess. Its look at warring street gangs and political unrest during the Civil War is marred by an unwieldy, sprawling screenplay, a horribly unconvincing performance by Cameron Diaz, some awful soundtrack choices and an overstuffed climax. This film also marks the beginning of Scorsese's "DiCaprio period," as every film since has starred the man-child actor, often playing against type (more on that later). Set in 1945,"New York, New York" is Scorsese's attempt at putting his stamp on the musical genre and is an awkward misstep (which flopped at the box office). Old-fashioned visuals and big musical numbers are populated with unlikable characters (played by the mismatched Robert De Niro and the perpetually-histrionic Liza Minnelli) in an unhappy storyline that ultimately pleases only die-hard Scorsese fans. "Bringing Out the Dead" stars Nicolas Cage as an on-the-edge EMT in a film that's uncharacteristically unfocused, a style-over-substance Taxi Driver-lite, with a saner hero and a happier ending. It just doesn't work. Scorsese's lavish biopic of legendary filmmaker / industrialist / billionaire wackadoo Howard Hughes features gorgeous cinematography, an interesting (if somewhat sentimental) screenplay and some incredible performances (Cate Blanchett's Oscar-winning turn as Katharine Hepburn could've easily been mere caricature). The problem lies in the miscasting of the lead. 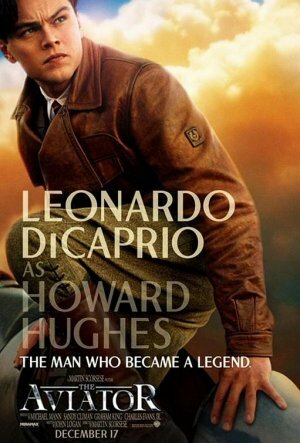 Acting chops aside, Leonardo DiCaprio is not a chameleonic actor ala De Niro and simply does not have the physical gravitas to be believable playing someone as imposing and intimidating as Howard Hughes (he's also hard to buy in The Departed). For us, it kills the whole film. Two very different odes to New York: "Mean Streets" (marking the beginning of Scorsese's cinematic relationship with Robert De Niro) is an unsentimental, unflinching and riveting portrait of gray morality set in the small time Little Italy underworld. The black comedy "After Hours" takes a bored / horny Griffin Dunne down the rabbit hole of 1980s Manhattan after midnight, alternately aided and accosted by a motley cast of characters including a beautifully sad Teri Garr as a Monkees-fixated waitress and Cheech and Chong as two art-loving burglars. Robert De Niro is transcendent as troubled 1950s boxer Jake LaMotta in what many consider not just Scorsese's masterpiece, but the best film of the 1980s. All of the director's themes are here: Guilt (Catholic and otherwise), redemption, violence, Italian-American identity, family, and the definition and demands of manhood. Much of this film ain't easy to watch, but it's all beautifully choreographed with some of the most disturbingly arresting violence (shot in unforgiving black and white) ever put to screen. Scorsese's most overlooked film, this black comic tour de force stars De Niro as a wannabe stand-up comic so desperate for fame that he (abetted by Sandra Bernhard) kidnaps a Johnny Carsonesque TV host (played brilliantly by Jerry Lewis) and holds him for ransom in exchange for a spot on the show. Filled with moments so painfully awkward they make Curb Your Enthusiasm feel like Full House, this pitch-perfect satire on media and celebrity (both how much it costs and how much some refuse to earn it) now seems frighteningly prescient in this era of fame-at-any-cost. In a word, duh. Scorsese's harrowing portrait of loneliness, obsession and descent into madness remains utterly vital after over thirty years. 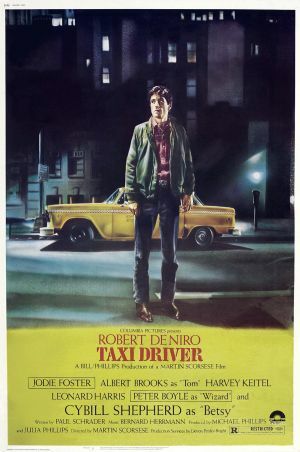 Working with screenwriter Paul Schrader and star De Niro (in his most iconic role as the titular Travis Bickle), aided by Michael Chapman's stark cinematography, a stellar supporting cast, spare but genius editing and Bernard Herrmann's haunting score, Scorsese sets the template for modern collaborative filmmaking under a strong guiding vision. New York City never looked uglier...but you just can't look away. An undisputed classic. As with any "Best/Worst" list, this is subjective (no doubt many of you are screaming about the absence of Goodfellas). And in the case of this director, "worst" is contextual; Even Scorsese's "bad" films contain more to make them worth watching than most directors' entire oeuvre. This is why "Shutter Island" needs to be more than just a good thriller: We hold Marty to a high standard. Here's hoping he again rises to it. This piece was originally posted on STARPULSE on Feb. 17, 2010. Marvel & DC Slugging It Out on the Big Screen!